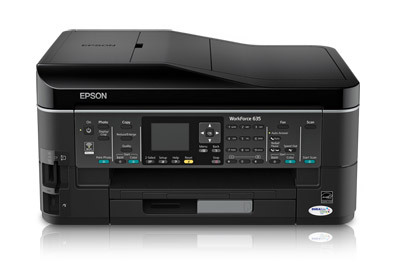 Buy Printer Epson WorkForce 633 with CISS and make 30 times more quality prints for the same money! This new multifunctional device is a wonderful model of the new Epson device, which combines the most useful features and optimal parameters; consequently you can enjoy comfortable and effective working process. 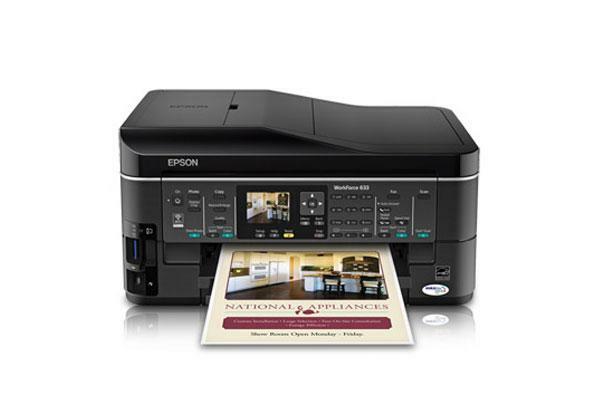 Epson 633 exhibits all the properties, which are essential for both office and home MF. On the one hand, thanks to assistance of new technologies such as direct printing from camera, it perfectly fits your home. But on the other hand, this MF also is considered as an office device because of the variety of its characteristics. That is why, you should order Epson 633 all-in-one printer on this site. The resolution of both the printer and the copier/scanner in this MF is rather high, and the minimum volume of the drop is 2 picolitres, that also influences the printing quality greatly. WorkForce 633 is a very compact with a business design. This wireless MFP is perfect for home usage. Combining three functional devices - printer, scanner, copier вЂ“ in one this modern and interesting model of a well-known producer of business equipment will become the best tool in solving a lot of tasks you are faced with every day. According to the declaration of Epson Corporation, the printing system combining the resistance of pigmented black ink and high quality photos printing with water-soluble colored ink, become a helpful and multiple featured printing system for high-quality documents and images. Thanks to wide functionality and design simplicity, it is very easy and simple to work with this MF, just as to buy Epson model from us. You could buy epson workforce 633 all-in-one printer as well as Epson Workforce 630 and Epson Stylus N11 from us for a low cost, just by doing a couple of clicks. The functionality of Epson 633 printer is very high, and even a child will be able to deal with it! Save your time and money with CISS! 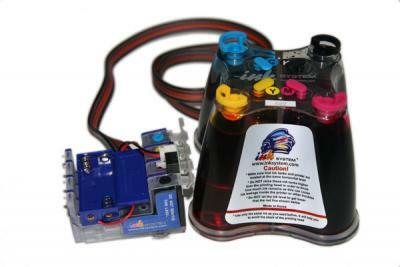 With the system of CISS everything you is to fill up the tanks as the ink discharges, and enjoy the process of printing as long as you wish. 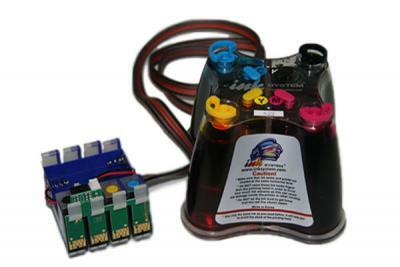 Installing CISS by INKSYSTEM, you are guaranteed to have long service of your printer. In conclusion, we want to note that Epson printer deserves recognition of customers for quality, performance and easy maintenance at the same time.